Video not supported by your device. send you a BONUS award just for getting started. the phone and you will also get points awarded to your account. It’s that easy! It’s so simple. Here’s how it works. To begin earning your PLATINUM award certificates, just fill out the member profile. 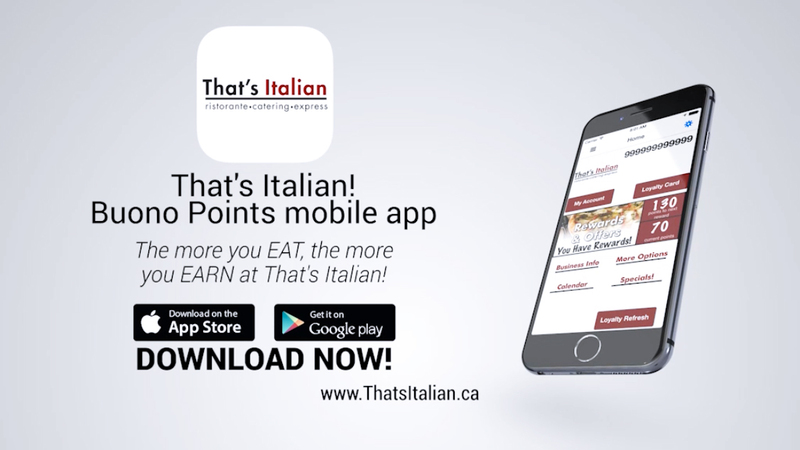 Every time you use your membership card at That’s Italian Ristorante, we will automatically track your purchases and assign points to your account. is no limit! Go ahead, reward yourself! The more you spend the more you earn! * PLATINUM members must attain at least 5000 points within a twelve (12) month period to keep their status active.